Interactive Whiteboard. 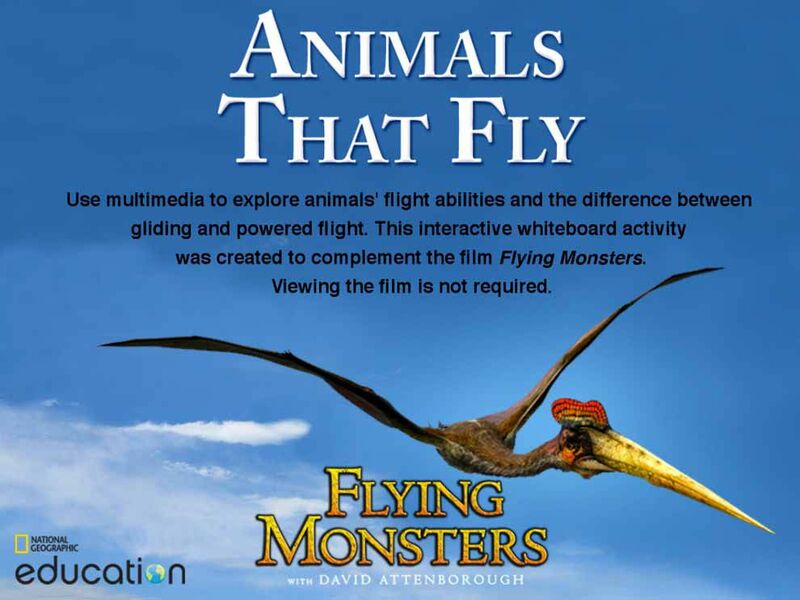 Students will make observations as they explore characteristics of animals that once flew, including extinct pterosaurs, and animals that fly today. This interactive whiteboard (IWB) activity is currently only offered in .flipchart format (File Size: 66 MB)—for use with Promethean interactive whiteboards and software. Click here to download ActivInspire software. Use the Firefox web browser to download the file. This activity, for Grades 3-8, is intended to serve as student-centered learning, with teacher facilitation. After students have completed the full IWB activity, save the file so you can refer to students' completed work later. Additional educator notes are included on Slide 1.